Video games, as a whole, have been mining Norse Mythology for ideas and story beats since someone said “let’s implement a story as to why these pixels just stabbed these other pixels.” And why not, right? Nordic myths are chock full of good versus evil, insurmountable odds, stalwart heroes, monsters and/or dragons, and a body count on par with any entry in Call of Duty. Mix all of that up with the whole “the world’s doomed” motif, and you’ve got yourself a solid video game premise. If, however, you seized hold of Norse mythology and substituted every ounce of sincerity for slapstick and cultural references, you would probably come up with something like Zombie Vikings. A four player co-op brawler, Zombie Vikings proves that our modern existence is so turgid with zombies we’ve run out of contemporary venues for them and must wedge the undead into the annals of history. You and your buddies play as any one of four specific zombies (or more, depending on if you purchased the Ragnarok Edition or bought the DLC), who are tasked by Odin to retrieve his eye stolen by the Trickster God, Loki. A reasonable plot to be sure, except that everyone involved is an idiot. 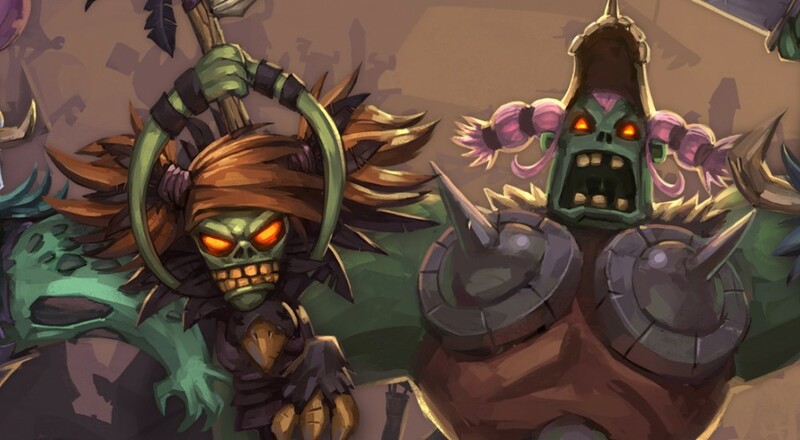 A physical version, Zombie Vikings: Ragnarok Edition launches November 6th. I played the digital version, which debuted back in September. I did not purchase the DLC characters, nor did I have access to the “new features” or additional characters included in the Ragnarok Edition. What I played consisted of the entirety of the game as originally released in the digital format. The story is thus: Odin’s eye gets hijacked by Loki in pretty much the most unfunny opening cutscene of all time, and a blind Odin uses magic to bring four dead heroes back as zombies. He tasks said zombies with voyaging across the Nordic world to chase the Trickster God and retrieve his eye. Cutscenes enlighten us further to heroes personalities and their backstories, from Seagurd’s bizarre bond with a pink octopus, to Caw-Kaa’s embarrassingly tiny nose. The characters are different enough, and slightly endearing, to make playing as them at least sort of interesting. Their dialogue might not be the pinnacle of comedy writing, but at least they all have heart. 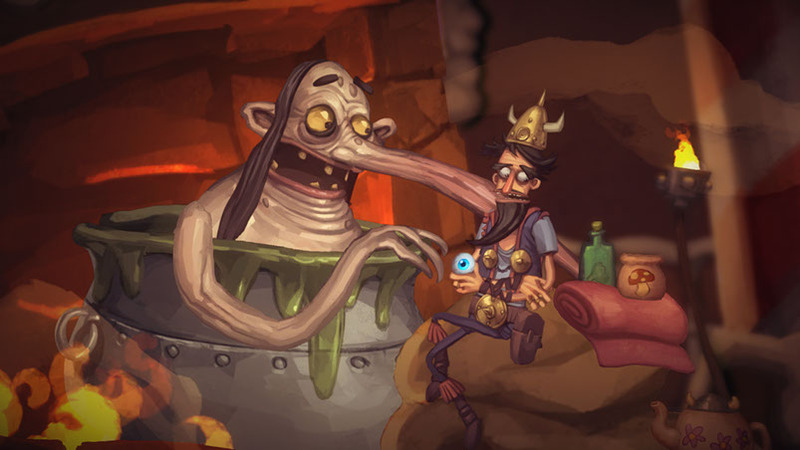 Zombie Vikings is best described as an ultra simple brawler. At worst, you could call it “bare bones,” given the combat (which is pretty much the entire game) isn’t very deep. Run around, wield your special abilities, and mash the standard attacks. Enemies vary only slightly from one to the next, often with just a pallet swap. Sometimes they’ll evolve in complexity (the two sword guy can fly now!) but you’ll find yourself facing plenty of the same kinds of enemies again and again. Once you’ve figured out the best way to deal with a particular enemy, you’ll have ample opportunities to master the way you dispatch them as you face them for the ten thousandth time. Page created in 0.8011 seconds.